A LIFETIME GUARANTEE that may not be needed in your lifetime. It was in another Filson catalog, a century ago, that our founder C.C. Filson wrote, “You can depend absolutely upon our goods, both as to material and workmanship.” He would prove that he was a man of his word, as many of his goods lasted through their wearers’ lifetimes, and would eventually be passed down to the following generation. If any Filson item does fail or is otherwise damaged, we will replace or repair it without question. It’s worth noting that, over the years, many of our customers have chosen repair over replacement as their goods hold sentimental value, having been in the family for multiple generations and many decades. WHILE OTHERS MOVED their manufacturing operations overseas, we wished them well and then built two more factories in the US. We’ve made our own goods here for more than a century and that’s not going to change. Our American factories allow us to keep an ever-watchful eye on product innovation and quality while giving us the capacity to manufacture even more of our own products. That’s the Filson way–a longstanding, stubborn approach, built upon practices and beliefs that have become increasingly more relevant over the last 117 years. Filson guarantees every item purchased from Filson. No more, no less. Filson believes in there products and stand by the quality of workmanship, craftsmanship, and materials in each one. 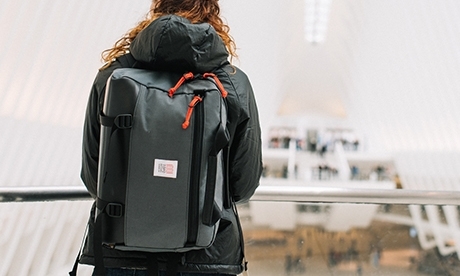 Filson guarantees the lifetime of each item against failure or damage in its intended usage. Filson guarantees does not cover general wear and damage caused by accident or by using the item for other than its intended purpose. This includes animal damage, damage caused by mishandling via airline or third party shipping companies, extreme wear and third-party alterations made to the item. Likewise, fluctuating fit, abuse of product, and disregard for the product care instructions are not covered. Filson Guarantees applies to all Filson items purchased by authorized retailers. Please note every item is subject to an evaluation by Filson's Returns Team. What's all this business about my satisfaction? In 1897, C.C. Filson said, "Your satisfaction is the sole purpose of our transaction." Filson held that standard ever since. It's gotten Filson into hot water on some days, but over a hundred years later Filson stand by those words. If you purchase an item from Filson and are unhappy with it for any reason within the first six months, you may return your item for a refund, no questions asked. Well, maybe a couple of questions. Your feedback is very important to Filson and is used to help Filson improve there products. What does "lifetime" mean? The lifetime guarantee specifically refers to the time at which, through normal use, the product can no longer function in its intended purpose. What doesn't the lifetime guarantee cover? Filson's guarantee covers the failure of materials or workmanship, including defects, discovered through normal wear. Excessive wear and tear, animal damage, abuse, misuse or neglect is not covered by Filson's warranty. Filson also can't guarantee against accidents or damage incurred as a result of repairs, modifications or alterations done by a third party. What is considered "general wear"? General wear is the natural breakdown of materials over a long period of normal usage. After years of wear, you may see a bit of fraying at the cuff. Eventually, the notch you always use on your belt may stretch. Once you've put enough miles on it, that luggage may show some scuffs on the corners that see a lot of traffic. This isn't a failure of materials or workmanship; it is simply the natural course of any well-built product. If a Filson item has served you well but is showing a lifetime of normal use, we hope you'll consider buying a replacement to last another lifetime. Is there anything Filson won't do? Just barely. Here are a few accommodations Filson unfortunately cannot make. If the issue is not related to a failure of the product, the exchange or return will be determined on a case-by-case basis by the Filson Returns Team. What if I receive a damaged, defective, or incorrect item? Please contact Customer Service as soon as possible at 1-800-624-0201. Have the order number and style number for the Customer Service Representative, and Filson will make every effort to replace your item promptly. Will Filson repair my item, or replace it? Repair is always Filson's preferred course of action. However, if after evaluating your item it is deemed not repairable, Filson may need to replace your product. Please let Filson know by letter if your Filson product has sentimental value and you do not want the item replaced. Filson will honor your wishes and repair it to the best of Filson's ability, if a repair is possible. Repairs are made to preserve the strength and integrity of the product rather than have aesthetic appeal. Based on the amount of labor involved, some repairs may incur a charge. You will be notified if this is the case prior to any work being done on your item. If your damaged product requires replacement, please be advised Filson cannot also return your original product to you. How will I receive my refund? Refunds are issued in the original form of payment. Please note that a refund issued to your credit or debit card may take up to two weeks to be acknowledged by your financial institution. A Filson order number or proof of purchase is required for refund. If you are returning an item that was originally purchased through one of our authorized retailers, you may be issued a Filson Gift Card for the last known retail price (redeemable online at Filson.com or in person at one of the Filson stores). What if I don't have an order number or it was given to me as a gift? 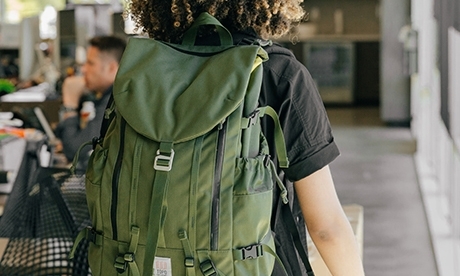 Filson will exchange an item without an order number or receipt if all of the product tags are included, the item is not a discontinued style and the product does not show any wear. The last known retail price may be used as a credit toward an exchange, or issued in the form of a Filson Gift Card. What if I'm not sure if my item is repairable or replaceable under Filson guarantee? You are welcome to send the item in for evaluation by the Filson Returns Team. Unfortunately, Filson cannot determine through photos if a repair is possible so the item must be received at Filson. A Customer Service Representative will follow up with you to discuss your options. Please note Filson reserve the right to send back dirty or soiled items that may pose a health risk to the Filson Returns Team or Production Staff. Besides being unhygienic, unclean items may damage Filson's production machines and equipment. Particularly with hunting products, Filson ask that you clean the item and remove blood, feathers, and any other animal byproduct before sending it in for evaluation. 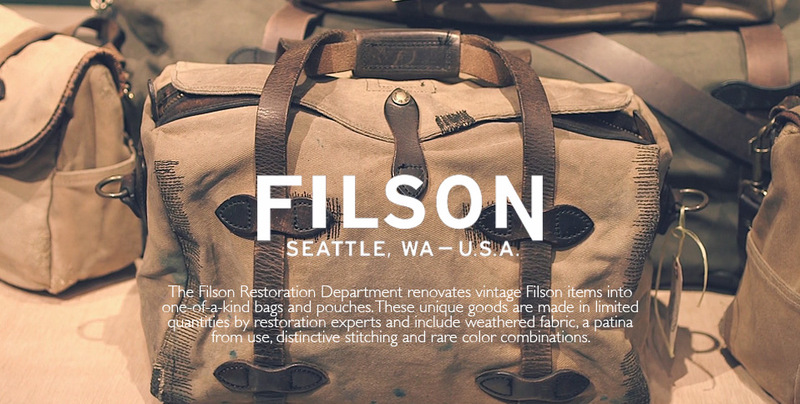 Filson Restoration Department from Filson on Vimeo.